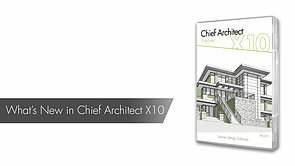 These series explore the many features added into past releases of Chief Architect. 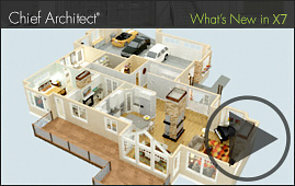 Explore the new features introduced in Chief Architect X10. New features introduced in Chief Architect X9 include: enhanced migration options, a wall niche tool, shelf ceilings, and 360 panorama renderings. 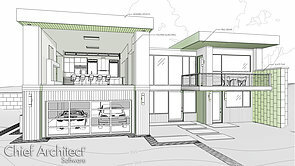 Chief Architect X8 introduced a number of new features, such as enhancements to the CAD editing tools, library browser and camera views, ability to send live views to layout pages, and auto story pole dimensions. New to Chief Architect X7 are features such as the Active Layer Display Options side window, a new Object Eyedropper tool, export of high resolution rendered views, and improved wall definition dialog. 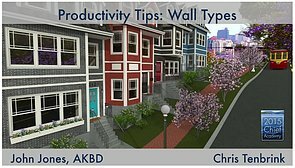 Chief Architect X6, now available on Mac OS, introduced an updated and more modern user interface, library migration, and productivity tools like custom backsplash, room divider walls, and various improvements to walls, doors, schedules, and more.